Sometimes you know you’ll love a coffee shop as soon as you walk in. With its whimsical decor inside and out, it’s easy to walk into Barefoot Market, but to say this is just a “coffee shop,” isn’t really correct. Barefoot Market has coffee, good coffee – La Colombe – but it has so much more. 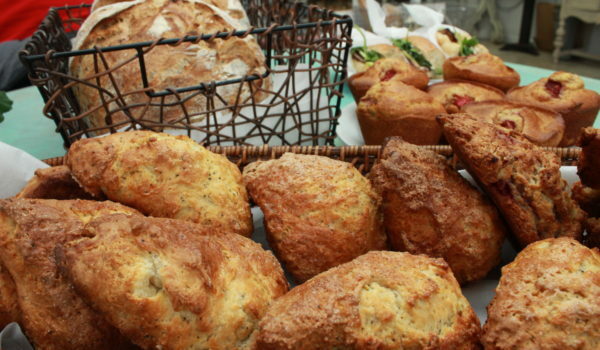 Owner Jennifer makes some of the freshest breads, scones, cookies, sandwiches, and salads around. These aren’t your average eats either – these are gourmet takes on tradition. That cookie you love? There’s lavender in it! The scones are OC famous and the perfect companion for your cappuccino. Try the Mexican Chocolate or Butterscotch. Find them at 214 West Avenue, Ocean City • (609) 399-0221 • facebook.com/WhosOnFirstCafe. For more fab businesses, click here.